Our choir has been performing on very old…borrowed choir risers the past few years. As the choir is growing in numbers, we need to newer and safer risers for our amazing singers. Here’s how you can help…buy a $20 Raffle Ticket…you could win a Family 4-Pack of 1-Day Tickets to Disneyland!!!!! 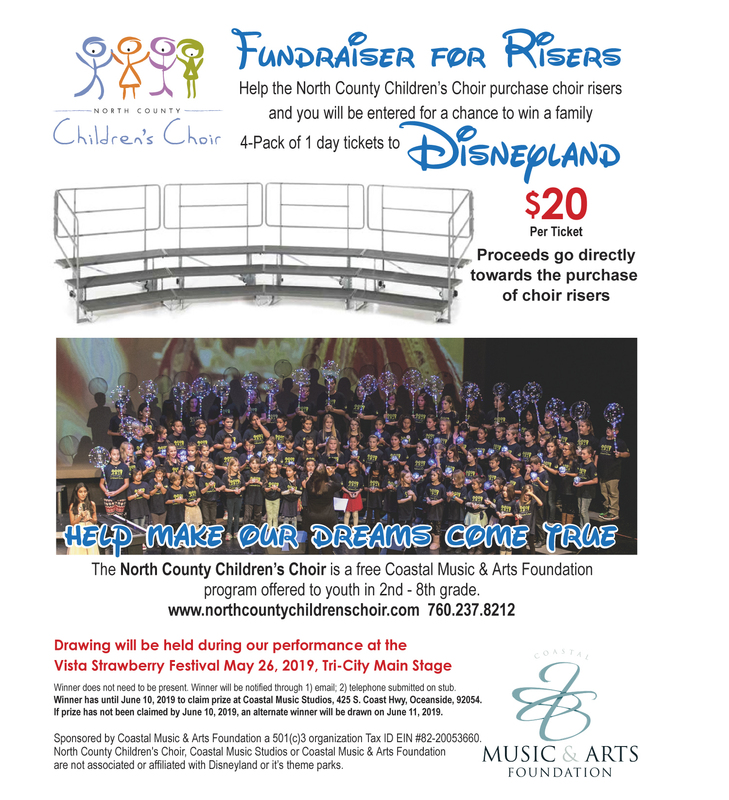 You can purchase the raffle tickets directly from a choir singer…or at Coastal Music Studios. Don’t wait…get your tickets today. The drawing will be held on May 26th, 2019 during our choir performance at the Vista Strawberry Festival.